As our SPL Team Captain pointed out in the previous update, we still have some good news and things to be thankful for, even if our local elections did not give us pro-Second Amendment victories! So on to our December 2018 newsletter. As always, a printable copy can be downloaded by clicking this link. Every member that we have a current address for will receive a paper copy and paper ballot with a random serial number by November 25. Completed ballots should be mailed back by November 30. ● The Election of Officers for 2019 will take place at the December meeting. The official ballot is enclosed with this newsletter. You may vote in person or by mail-in/absentee ballot. We are returning to our regular meeting format this month and so the November General Membership Meeting will be Monday, November 5, 2018, at 7:30. As usual, the printable version of this newsletter can be downloaded by clicking this link. ● Thank you to Barb Mann, Beth Moses and Dianna Voit of the Erie County Medical Center Trauma Department’s Stop The Bleed program who presented at the October 1 meeting. Members who attended received credit for completing the Bleeding Control Basic Course v. 1.0 (“BCon”) program and a certificate. Stop The Bleed program is intended to give everyone knowledge on how to be part of the first response to mass casualty incidents like the Las Vegas shooting. The lessons are also good for every-day situations that you might encounter, like car accidents or cuts in the home or at work. Overall, the class appeared to be well received and a change from the ordinary meeting format. If members have topics or ideas for other presentations, please let us know. The 2018-2019 Niagara Frontier Rifle League schedule was released last week with the League season starting on October 10 and 17 at Lockport Conservation Club (4112 Lake Avenue, Lockport NY) and October 24 at Buffalo Rifle and Revolver Club (100 Towne Road, West Seneca, NY). The downloadable league schedule can be downloaded by clicking this link. Ten X was again honored to host the Western New York Outdoor Pistol Championship for the Western New York region. 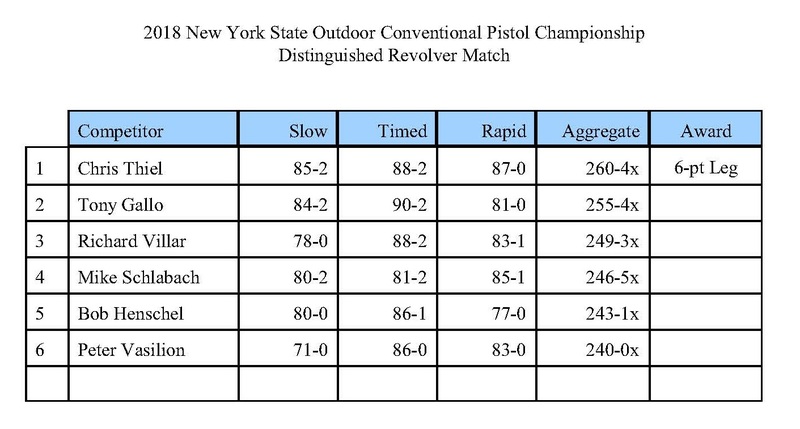 This match is sponsored by the New York State Rifle and Pistol Association. In addition to Ten X, the match is held at Castleton Fish & Game Protective Association, Long Lake Fish & Game Club, and at Dutchess County Pistol Association. We want to thank all of our competitors and match volunteers, especially Keith Gaylord and Mike Gasiewicz who worked both days of the match, from opening to closing. The preliminary results for the 2700 Championship, the NRA Distinguished Revolver Match, and the two CMP EIC matches are posted below. The final State-wide bulletin will be mailed out once our State Pistol Director compiles all the match results. Downloadable results are linked at the end of this post. As always we are looking for competitor feed back on the match and, as always, improve the match for next year. The October General Membership Meeting will be Monday, October 1, 2018, at 7:00 P.M. sharp! Please note the time change! Please carpool and plan on arriving with time to sign in and set settled before our program starts! ● We are honored to host Erie County Medical Center’s Stop The Bleed program on Monday October 1. Ten X Shooting Club wins the 2018 Ed Rose Memorial Trophy. 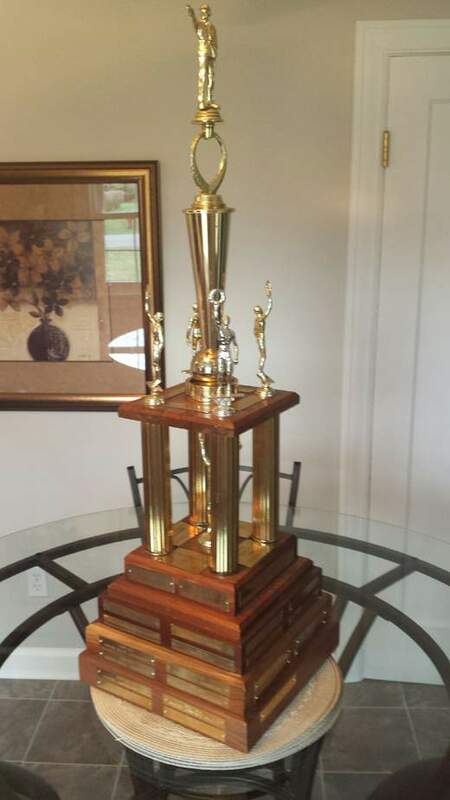 The most prestigious trophy in the Suburban Pistol League was awarded to Ten X at the combined Suburban Pistol League and Niagara Frontier Pistol League awards banquet, held on April 28 2018. The NRA National Indoor Championship Sectional Match at Ten X is concluded. We would like to thank all of our competitors and volunteers who made the match run well. We had 24 competitors this year, which highlights the need for continuing development and recruitment. Thanks, especially, to our southern-tier and Rochester-regional competitors who made the trek to Buffalo for the match. 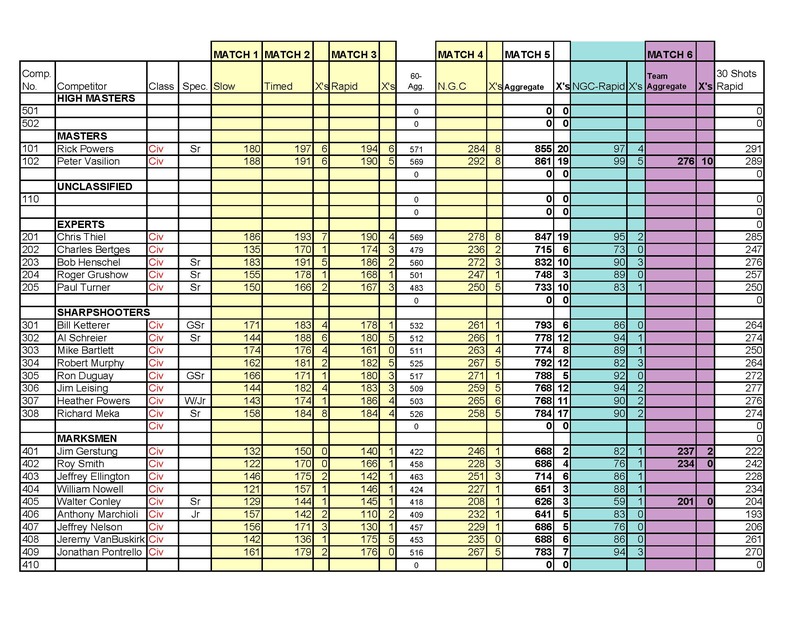 The preliminary results are shown below and you can download the PDF version by clicking this link. Check out our Local Tournaments page for the final bulletin. We anticipate the final bulletin going online next Saturday. We are proud to announce that the annual Robert O. Brundage Memorial Pistol Tournament will be held at Ten X on September 16 and 17. This annual tournament is for both individual competitors and teams. 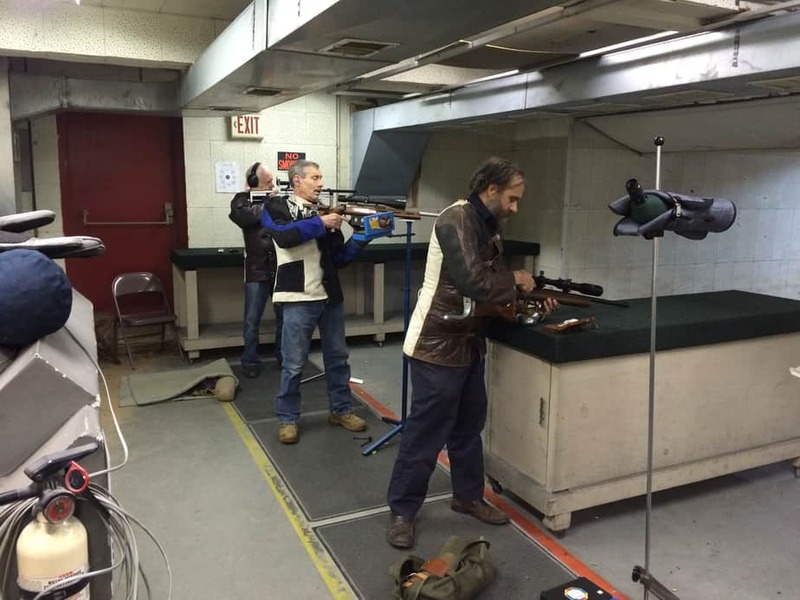 Membership in the New York State Rifle and Pistol Association (“NYSRPA”) is required for competitors entering the State Match. In addition to the State Championship, we will be hosting a Distinguished Revolver Match and both of the CMP EIC matches: the Service Pistol “Leg” match and the Distinguished .22 rimfire match. Click this link for the full bulletin in PDF format. Click this link to view the 2017 New York State Outdoor Pistol Championship Bulletin and Registration forms.